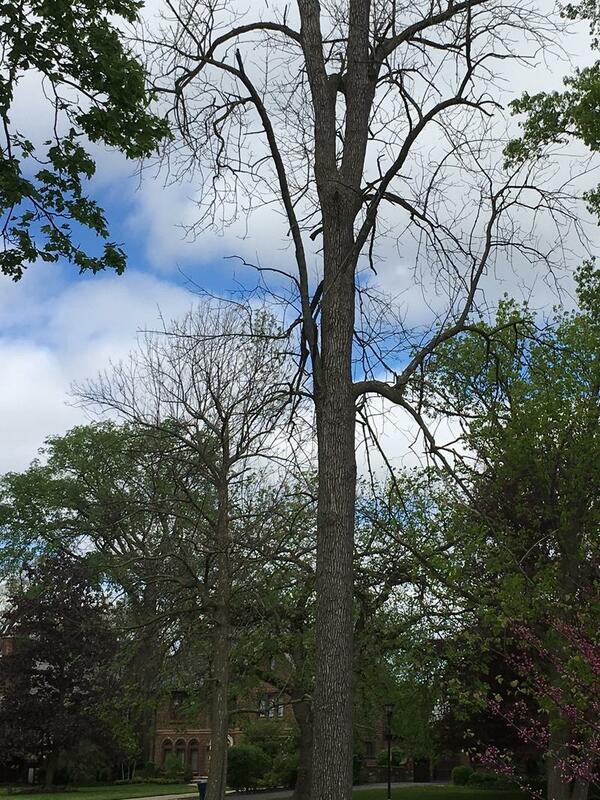 MORE RESOURCES ARE NOW AVAILABLE TO COMBAT THE EMERALD ASH BORER. The invasive insect has destroyed thousands of trees locally, since it’s discovery in Western New York in 2009. Near several dead ash trees Friday morning, in Buffalo’s Delaware Park, Assemblyman Sean Ryan said the new state budget includes $13 million to combat invasive species. “Think of it this way, in the October Storm, which everyone knows was a huge tragedy for trees in Western New York, we lost one percent of our canopy during that storm. We are poised to lose ten percent of our total canopy because of the Ash Borer,” Ryan said. 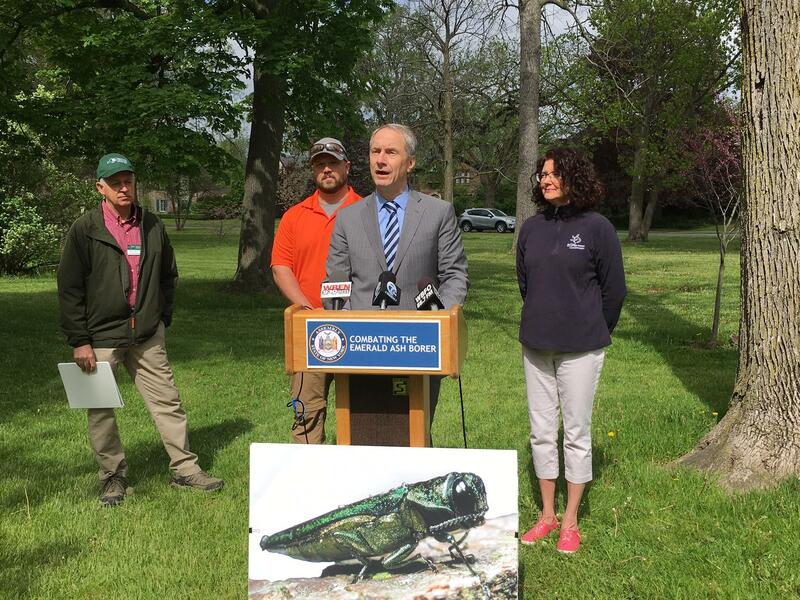 The Executive Director of the Buffalo Olmsted Parks Conservancy, Stephani Crockatt says without the funding, fighting the Emerald Ash Borer would be an uphill battle. “The Conservancy is trying to save about 200 to 300 Ash trees through inoculation every year. It is a very costly program. It’s about $100.00 to $110.00 per inoculated tree. It is a huge commitment financially. So this funding will help out tremendously,” Crockatt said. The inoculation process kills the insects which deplete ash trees of their nutrients. To prevent the spread of Emerald Ash Borers, Ryan reminds people not to move untreated firewood out of the area.